Global Warming / Climate Change is the most important issue facing humanity right now, as it will determine if humans can continue to inhabit this planet in the years to come. Not coincidentally, it is also the issue that suffers the most from disinformation, lies, conspiracy theories, and manipulation of public opinion. It is a war the 1% has been waging on the 99% for years. Powerful, big-monied interests feed the common citizen lies under the guise of protecting them. A huge player in this game of lies is Rush Limbaugh and his resident Global Warming Denier, Patrick Moore. About f40 years ago, Moore was a “radical” environmentalist. He could still be described as such, but for a much different reason: he now takes a lot of controversial stances that many consider to fly in the face of environmentalism. For example, while he supports increased use of alternative forms of energy, he also advocates increased nuclear power, and he is very supportive of the logging industry (more on this shortly). Also, while he is not an all-out Global Warming denier, he does not believe that is anthropogenic (humans having anything to do with it); he believes that what we are currently experiencing is completely natural. But who is he really, and where do his views come from? 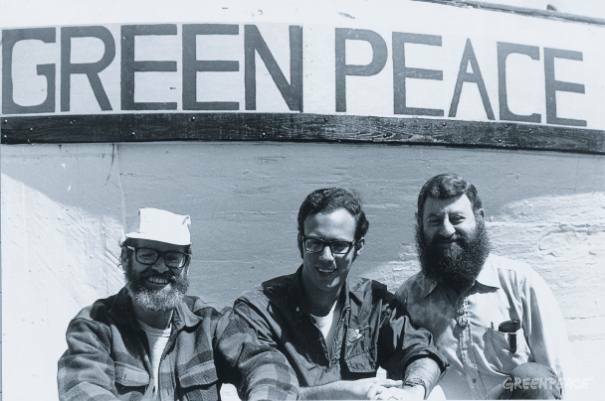 In 2004, Rex Wyler wrote a book called Greenpeace: How a Group of Ecologists, Journalists, and Visionaries Changed the World. Prior to becoming an author, Wyler studied physics, was an engineer at Lockheed, and was a director of the original Greenpeace. According to his book, Greenpeace was originally founded as the “Don’t Make a Wave” committee. The progression was as follows: “the ‘Don’t Make a Wave’ committee was formed in January 1970 by Dorothy and Irving Stowe, Ben Metcalfe, Marie and Jim Bohlen, Paul Cote, and Bob Hunter. The Committee had formed to plan opposition to the testing of a one-megaton hydrogen bomb in 1969 by the United States Atomic Energy Commission on Amchitka Island in the Aleutians. Moore joined the committee in 1971 and, as Greenpeace co-founder Bob Hunter wrote, ‘Moore was quickly accepted into the inner circle on the basis of his scientific background, his reputation [as an environmental activist], and his ability to inject practical, no-nonsense insights into the discussions. '” Note that following their first protest in 1971, the committee changed their name to Greenpeace. So Moore wasn’t technically a founder of Greenpeace (the Greenpeace website actually has a PDF of his application, as a way to debunk claims that he helped found the organization) but he was in the inner circle around the time Greenpeace was founded. Moore’s scientific background that Hunter spoke of came in the form of a PhD in ecology from the Institute of Animal Resource Ecology, University of British Columbia. In 1977 he was elected president of Greenpeace, but the original founders didn’t like how he ran it so they decided to split from him. He responded by suing them for copyright infringement. They reached a deal in which Greenpeace International was formed, and Moore would serve as president of Greenpeace Canada. He also served as a director of Greenpeace International. In 1986, Moore left Greenpeace – although lobbywatch.org points out that “according to Greenpeace’s Tamara Stark, Moore’s exit from the organization was ‘not necessarily by his own choice’.” From there he started a fish farm and began his own environmental consulting firm, Greenspirit Strategies. Also from lobbywatch.org: “Around the same time, he became a full-time paid director and consultant for the British Columbia Forest Alliance. The Alliance, although presented as a ‘citizens group’, was the brainchild of PR firm Burson-Marsteller. 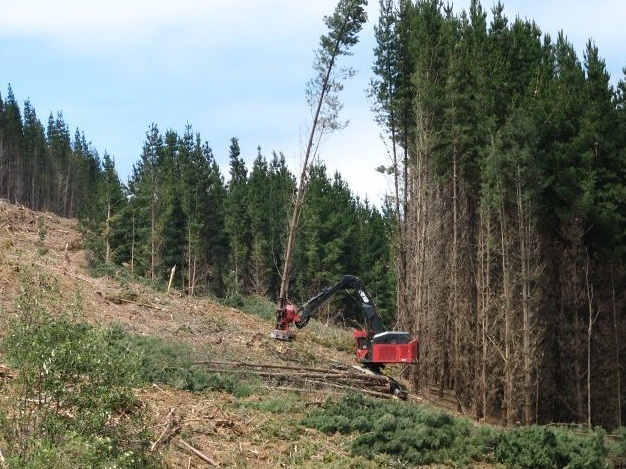 The Alliance has a budget of around $2m derived mostly from the forest industry and its 170 or so corporate members, and it campaigns for clear-cutting.” This was also reported in O’Dwyer’s PR Services Report. The name Burson-Marsteller should ring a bell and sound alarms. On the January 24, 2011 edition of The Rachel Maddow Show, Maddow discussed how they are the go-to PR firm for notable clients when large-scale crises need to be managed. They were hired by Romanian dictator Nicolae Ceausescu, who often staged PR events in which dubious tactics were used to make things seem better in Romania than they actually were (such as flying healthy cows in to the farms he was going to visit). They also represented Indonesia during the East Timor uprisings (following the Santa Cruz massacre), and they represented Saudi Arabia within days of the terrorist attacks on September 11th. They then represented the controversial private security firm Blackwater USA following their murder of 17 Iraqi citizens. 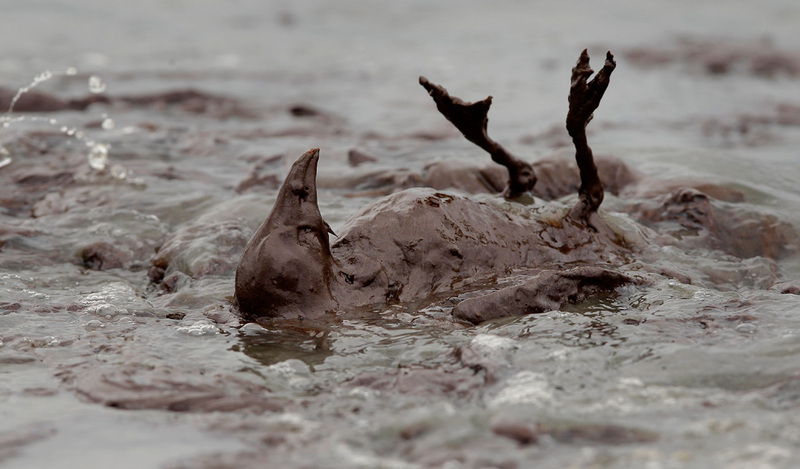 In researching the points that Maddow made, I found out that besides representing generally shady clients, most notable to this discussion is that Burson-Marsteller also reportedly helped ExxonMobil clean up their public image following their disastrous Exxon Valdez incident. This association is what caused the Unibomber, Ted Kaczynski, to murder Thomas J. Mosser who was an executive at B-M at the time. B-M denies their involvement with Exxon’s image, but admits to conducting a survey of the case for Exxon. Exxon isn’t the only oil company Burson-Marstellar has ties to. The list also includes Shell, Conoco, Cheveron, BP, Repsol, and Gulf. B-M’s ties to oil companies goes back at least as far as the early 1990’s when, as the Times reported, they were hired by the American Energy Alliance (formed by the National Association of Manufacturers and the American Petroleum Institute) to oppose Bill Clinton’s BTU tax on fossil fuels. B-M also has a history of being explicitly anti-environmental. In 1998, the NY Times reported that B-M was the driving force behind advocacy against emissions standards for cars in California, and the Washington Post reported in 1997 that B-M was behind the deceptively named “Foundation for Clean Air Progress” that was a “multimillion-dollar campaign to turn back EPA regulations for smog and soot”. So Patrick Moore went from helping to shape Greenpeace’s beginnings, to leading Greenpeace, to basically being kicked out of Greenpeace, to earning his living from a company with ties to anti-environmental campaigns and many of the world’s oil companies. Go into your local grocery store, and count how many images there are of pastures, traditional single-family farms, and general small-town scenes. The truth is that most of that food has been mass-produced in factories – not farms. And the farms that have been used would be virtually unrecognizable to anyone expecting the picture on the label. The animals have been tortured, not befriended. And the farmers, who are anything but “friendly” to their animals, probably are in massive debt and are enslaved to a much larger corporate entity that is actually calling the shots. But the labels don’t show that, because then people would feel bad and possibly not buy it. So they use propaganda to make what they do seem happier – just like Moore was attempting to do with deforestation. 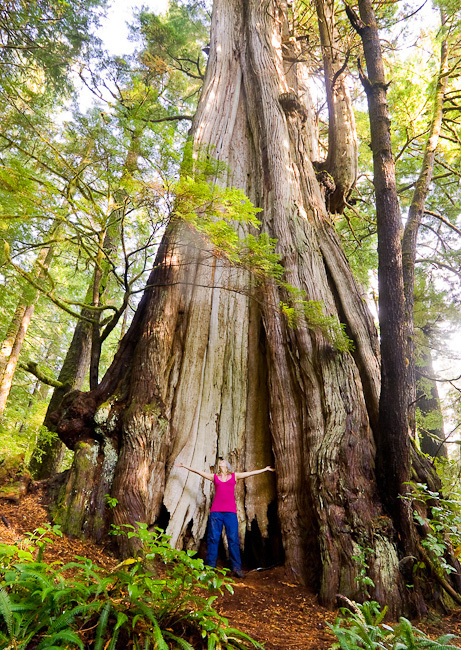 Perhaps why he has such a positive view of cutting down trees is because his father was president of the British Columbia Truck Loggers Association as well as president of the Pacific Logging Congress. Not to mention that he, himself, is being paid by a company that makes its money by cutting down trees. Also, he admits that he is well paid for his speaking and consulting services through his company Greenspirit Strategies. He insists that “people don’t pay me to say things they’ve written down or made up. They pay me to tell them what I think.” However, evidence from one of their clients suggests otherwise. 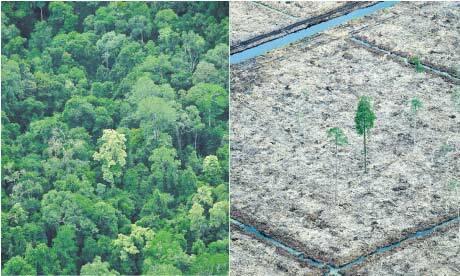 It appears that those who have nothing to gain financially from defending deforestation have reached a different conclusion than someone who does: Patrick Moore. Patrick Moore claims that the Left has hijacked Environmentalism as a way to push their ideology without scientific evidence. However, it certainly appears to me that he is the one who has been pushing his own ideology (and those of his corporate benefactors) at the sacrifice of scientific evidence. Scientific evidence of Global Warming arises from understanding (through experiments) that releasing carbon dioxide into the atmosphere warms the planet (a fact discovered by Swedish chemist Svante Arrhenius in 1895, not Al Gore in 2006 – as conservatives want you to think). Scientific evidence of Global Warming arises from understanding the chemical process of decomposition, and from studying ice cores to determine what atmospheric conditions in the past can teach us about the future. Global Warming deniers like Patrick Moore, Rush Limbaugh, and Limbaugh’s audience of self-described “dittoheads” want everyone to ignore the scientific evidence. They want everyone to instead rely on the anti-science propaganda of corporations that stand to financially benefit from a manipulated population. We cannot believes their lies. Next Next post: Republicans are illegally overturning Roe v Wade. Can they be stopped? Full Disclosure: I have basic knowledge but am not as well-versed on the issue of climate change as I’d like to be. Still, this really eloquent, thought-provoking, and inFORmative piece has completely engaged me, and I want to stay on top of this. I’m so impressed that your piece provided adequate context and information about (complex) issues relating to environmental justice — farming, mass food production, corporate interests, public opinion, CO2 emission, etc — without overwhelming me. I feel more empowered with this information and I can’t wait to read part two! Though, I have to say, when you mentioned you would be debunking his comments in a follow-up, I thought to myself, “You don’t need to. You just completely discredited his opinion by making really important connections to his corporate alignment.” I’d read the debunking only for sport, not because I need more proof that he’s a shmuck. This voice — the kind that investigates, questions, draws connections — is completely missing from so many mainstream press publications. I would encourage you to find some journals to submit this to. It has the sources to substantiate its value and you do so much persuading without overtly doing so. You present the facts and the readers are forced to make similar conclusions; that this dodo who went on Rush’ show used to be for the people but sold his soul for a business card and we shouldn’t trust him. Story done. Can’t wait to read the next post! I’ll be relying on you to keep me informed cause the environment is something I very much care about and I’d like to be more engaged — even if my ‘activist’ in this arena is simply sharing your posts with other environmentalists I know. Kudos, bro. Super work here. too many green-ish technocrats talk up nukes. Way too many.We gonna dump the waste on the moon, then? Reminds one of Larry Summers’ joke from years back that depevoling nations are underpolluted’ who needs the moon when the poor are just as marginal and expendable?